Your gutters take a good amount of abuse throughout the year. Melting winter snow and heavy rain are just a few of the reasons that make protecting your house from water damage an important concern; sitting water can cause irreparable harm to the structure of your home, and can become very costly if left untreated. As with many things, prevention is better than cure. Your gutters are a critical piece of protection for your house against rain and snowmelt. For that reason, you should always make sure your gutters are functioning properly throughout the year. At Berg Home Improvements, we can help you design a sound gutter system to avoid water damage, as we’ve helped many customers around our area. A good gutter system will perform a single job – moving water from one part of your house to another. When it is raining, all exposed areas of your home get wet, but the water does not accumulate. The main reason that most houses feature sloped roofs is to allow falling rain to run off your roof and onto the ground. However, this can cause its own issues. Most houses are not sloped on every side, and if water constantly falls in one section of the ground, flooding tends to occur. Gutters handle this, transferring water from all over your roof to a rain barrel or other area where the water cannot cause any damage. Properly controlling the flow of water on your roof will lower your chances of flooding and keep the water away from your home’s exterior. Our professional installers will customize your new seamless aluminum gutter system on site. This helps ensure it perfectly fits your home and will be correctly sloped for drainage. We offer both 5-inch and oversized 6-inch seamless aluminum gutters. Downspouts also play a very important role in your gutter system. We install 3×4” oversized downspouts which drain almost twice the amount of water of a standard 2×3” downspout and help your gutter system keep up no matter the amount of rainfall. Oversized downspouts are also a great way to prevent clogging from leaves and other debris. At Berg Home Improvements, we carry the Leaf Relief Gutter Protection System, an excellent and reliable gutter system that can help keep your home protected, regardless of the season. Falling leaves, sticks and other debris from dying trees can clog your gutters in the fall before freezing into a solid mass over the winter. Even before the rain falls, this can be an issue. The added weight of tree debris can combine with wintertime snow and ice to damage your entire gutter system. The Leaf Relief Gutter Protection System is an excellent option for avoiding this problem entirely. This system features a vented grate that effectively transfers rainwater to its desired location while preventing leaves and debris from entering your gutters. When the occasional cleaning is required, the gutters feature an access panel to provide easy access. 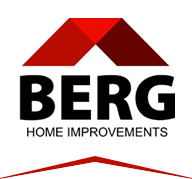 If you’re interested in significantly expanding your home’s gutter protection today, give Berg Home Improvements a call and speak to one of our gutter specialists. You can also fill out our online contact form to set up an initial quote.